Congratulations to our Captain, Cathy Fouyer – who won this year’s Captains Cup! 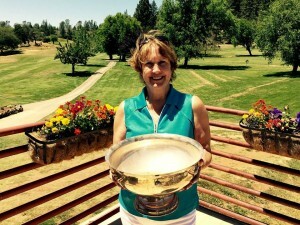 Cathy had a 36-hole net score of 139 (65-74) to take the top spot in this year’s event. Second place went to Maggie Flecksteiner with a 142 (72-70), followed by Marlene Dresbach in third with a net 144 (73-71), and Sherrie Rankin in fourth with a net 145 (79-66). 5th-7th places were Kandice Kelley (148-tiebreaker), Sandy Hansen (148-tiebreaker), and Donna Carter (150).